Mariella Graziano was born in a small village in the South of Italy. She started her carrier at University of Rome La Sapienza, Faculty of Aerospace Engineering. It has been most likely the desire of pursuing the understanding of how thinks really work to make her deciding to be an engineer. Or maybe she was inspired by the Top Gun movie. She is not yet sure about the real reasons, but this is not really important. In 1991 she was selected has one over 25 students to design a space missions under the mentoring of the European Space Agency and important European aerospace companies. Mariella started her professional career working for a small Italian and technology related company. In 1996 she moved to The Netherlands working for the European Space Agency in the area of system engineering. Later on she moved to Spain working for GMV in the area of mission and space system analysis. 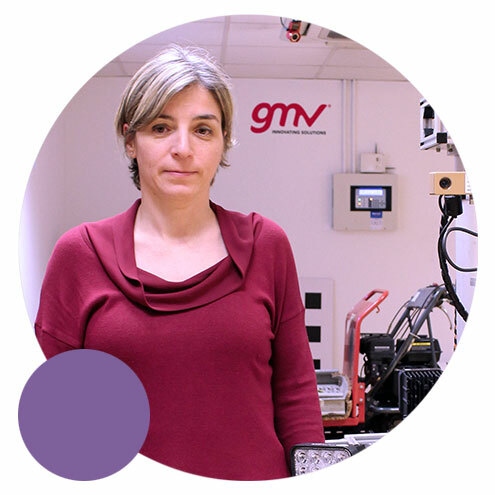 Within GMV Mariella assumed different technical and managerial responsibility. In 2007 she has been appointed as Executive Director of a new Business Unit, Space Segment and Robotics. She is member and chairman of many international association. Among those, Women In Aerospace Europe, IAC Exploration Committee, Planetary Defence Committee, etc. She is mother of two fantastic boys, wife of a great man, daughter of great parents. She loves the moon and the mountains, she like all arts, mostly music, painting and sculpture. Inspiramos, educamos y empoderamos a niñas, jóvenes y mujeres con el fin de que desarrollen su talento y prosigan brillantes carreras profesionales en Ciencia, Tecnología, Ingeniería y Matemáticas.